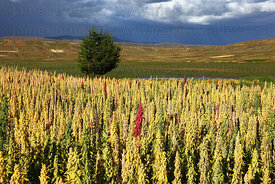 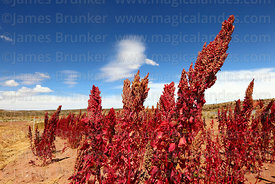 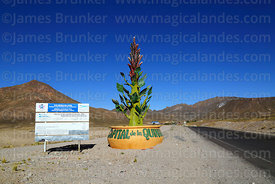 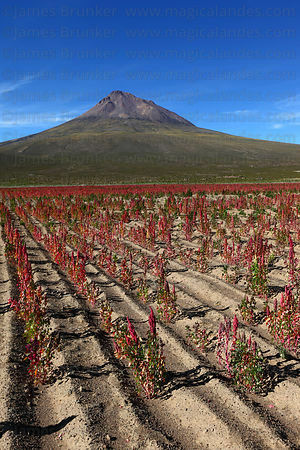 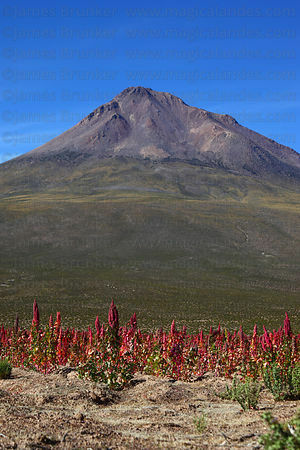 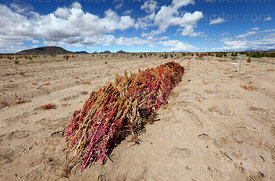 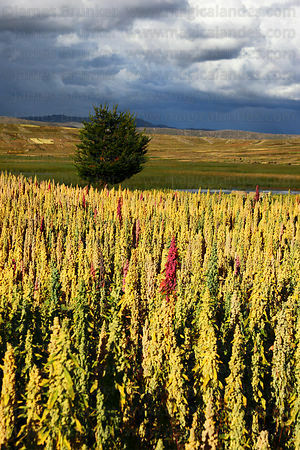 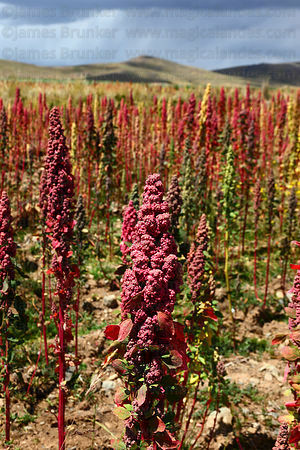 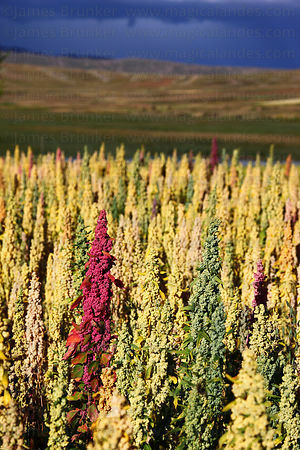 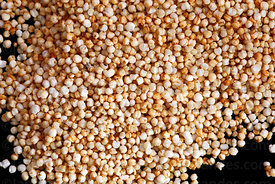 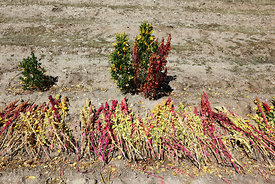 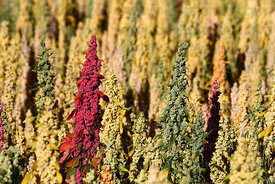 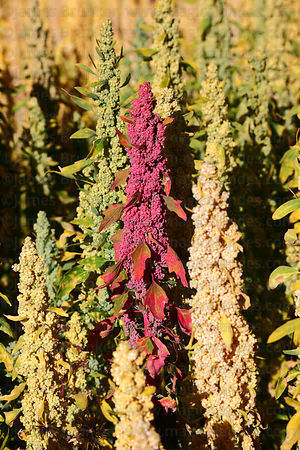 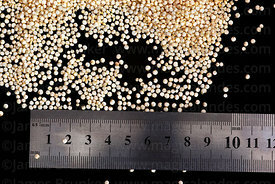 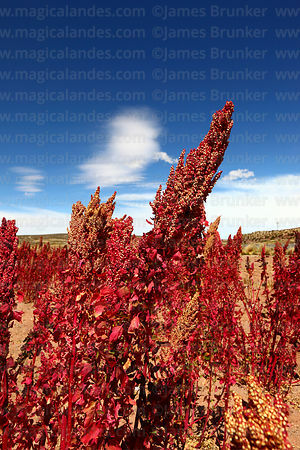 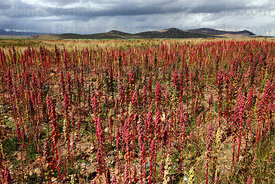 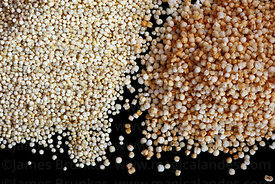 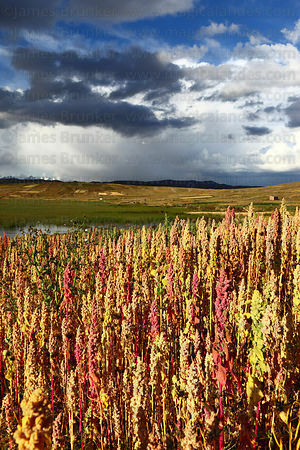 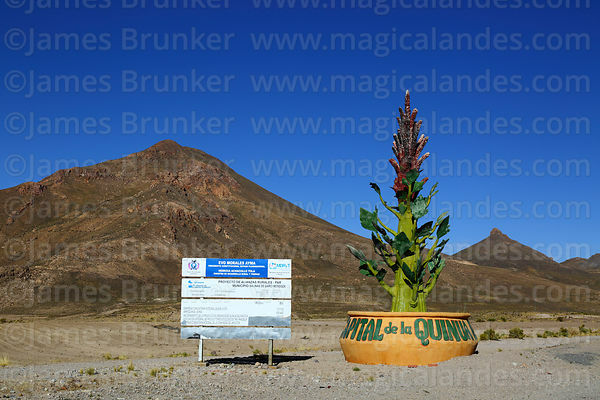 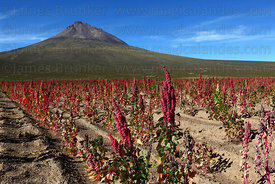 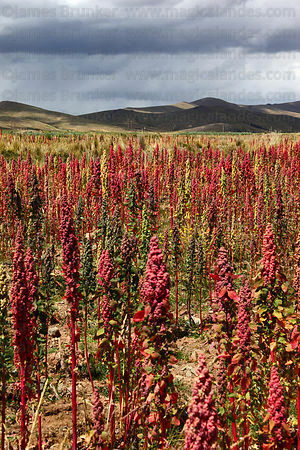 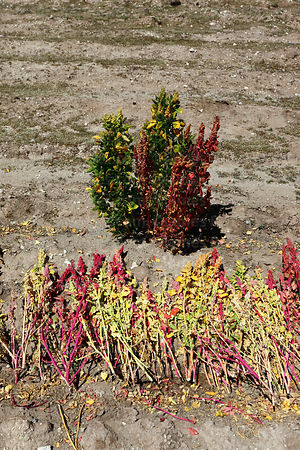 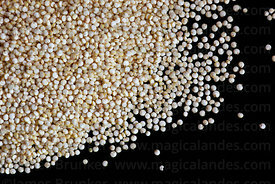 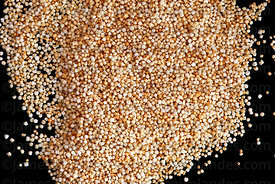 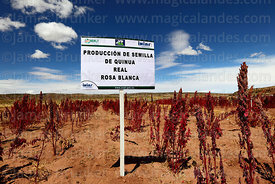 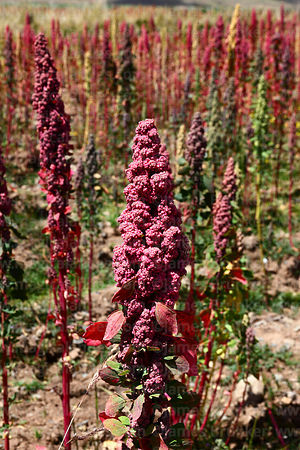 Quinoa (sometimes spelled quinua, Chenopodium quinoa) was domesticated 3-4,000 years ago and has long been an important part of the indigenous people's diet in the Andes. 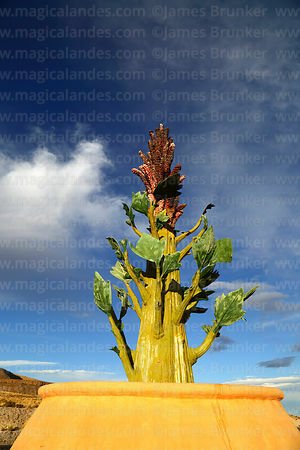 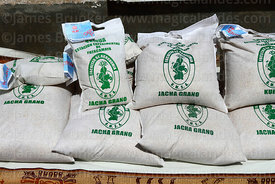 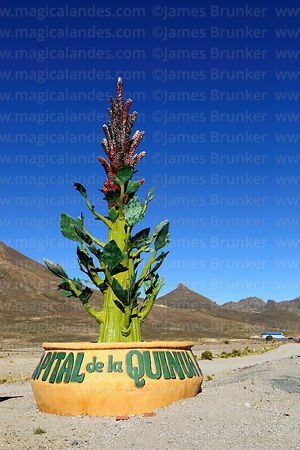 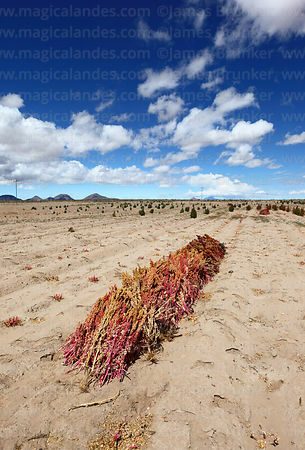 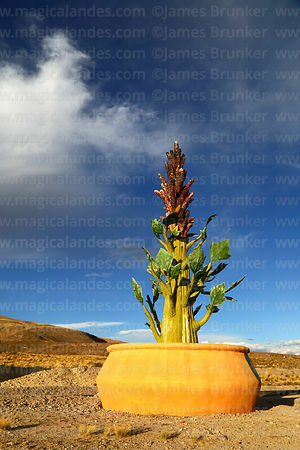 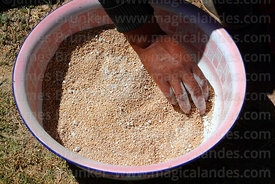 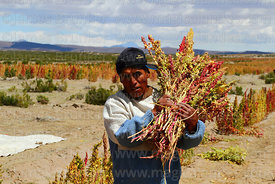 It was considered sacred by the Incas and the Inca himself traditionally planted the first seeds each season. 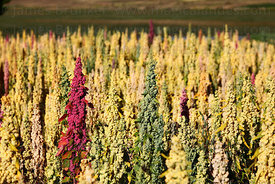 It is actually a member of the goosefoot family rather than a true cereal, and very rich in proteins, minerals and nutrients. 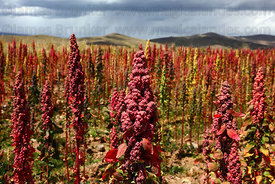 It has become increasingly popular in many countries as a health food and an important export crop as a result in especially Peru and Bolivia, where it can easily be grown in barren areas where agriculture is otherwise difficult. 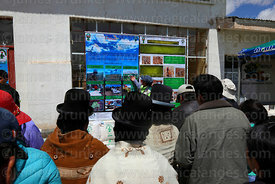 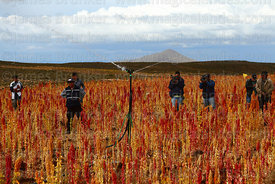 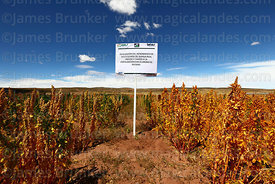 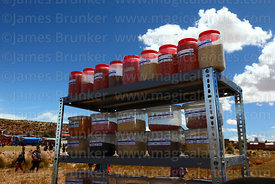 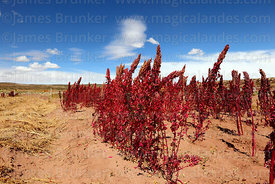 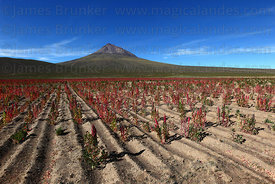 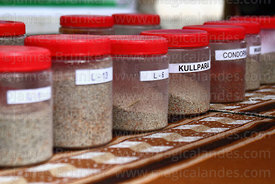 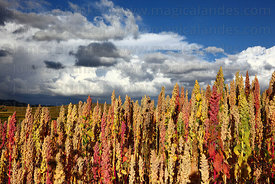 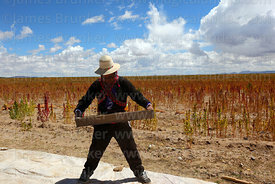 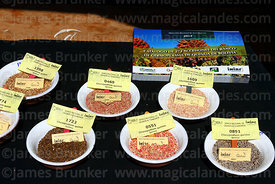 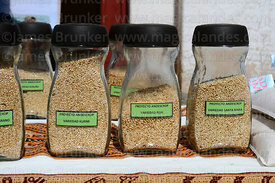 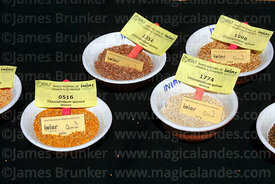 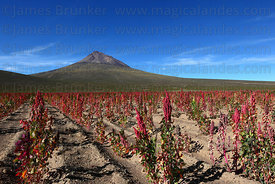 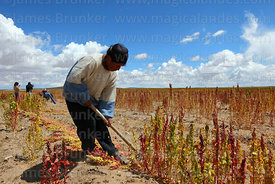 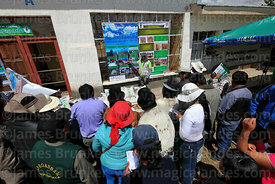 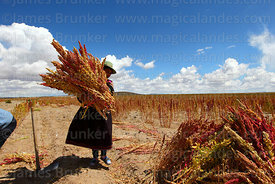 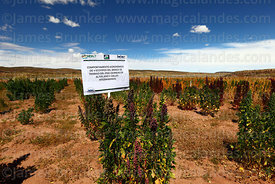 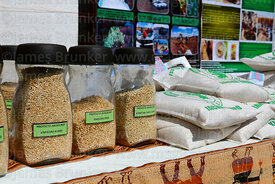 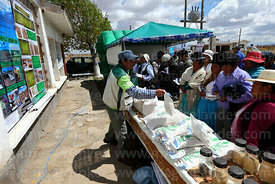 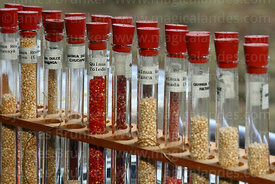 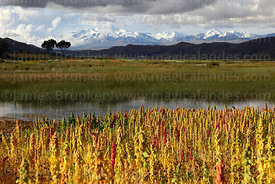 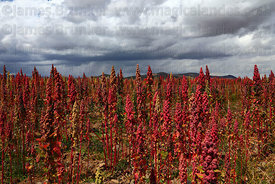 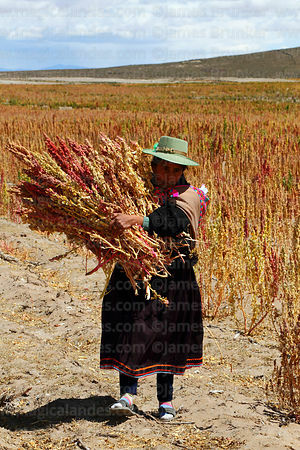 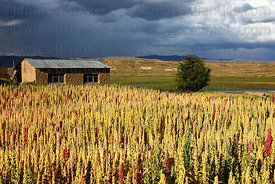 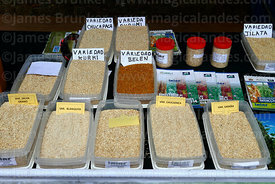 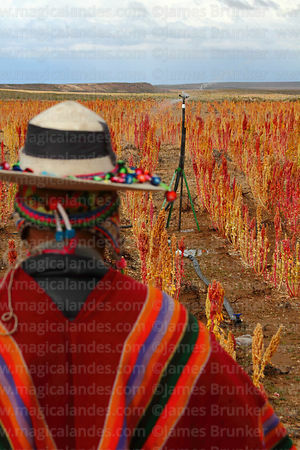 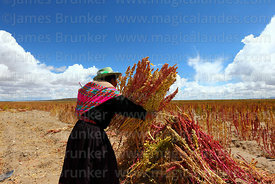 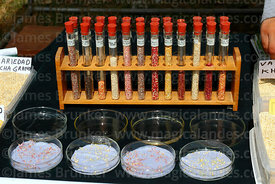 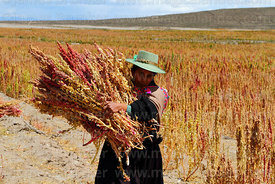 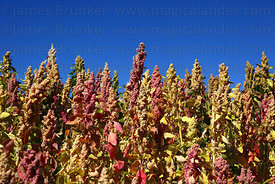 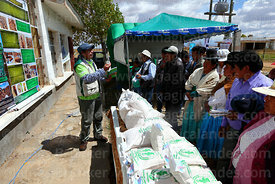 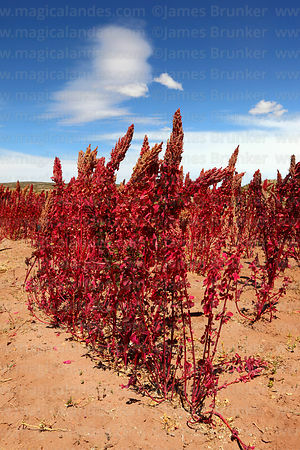 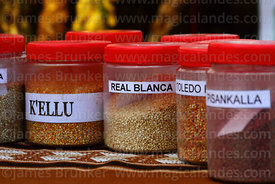 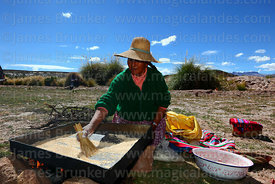 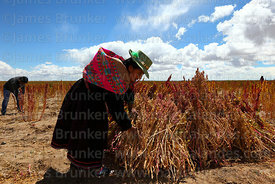 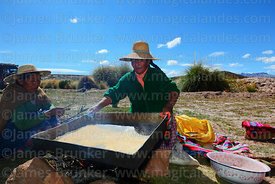 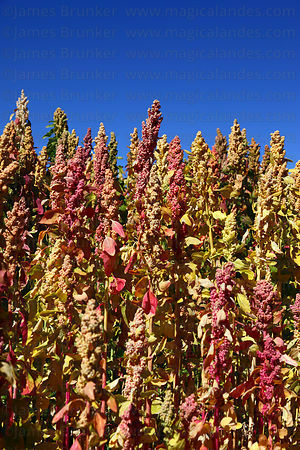 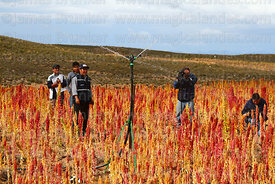 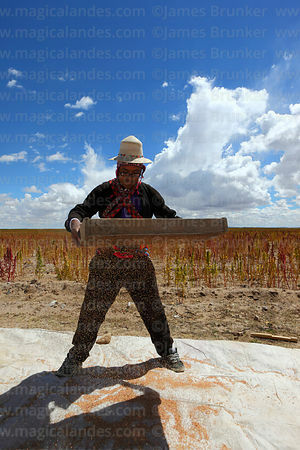 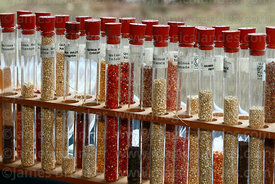 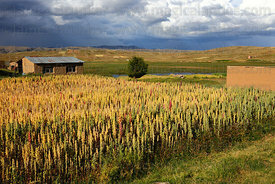 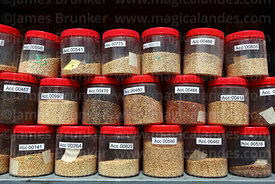 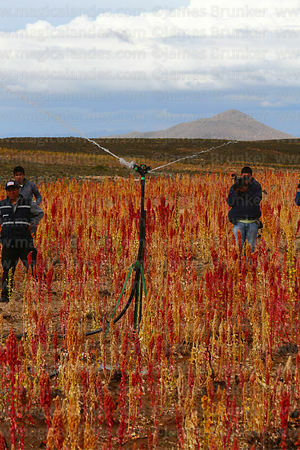 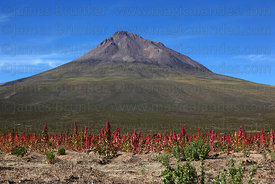 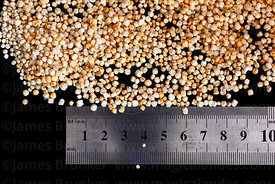 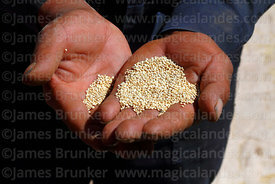 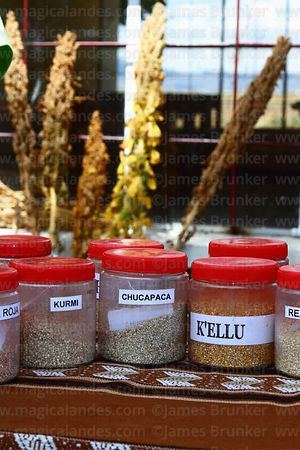 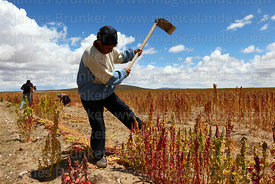 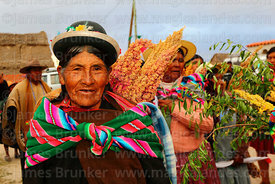 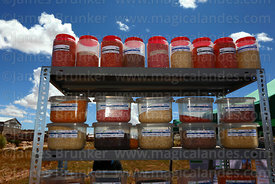 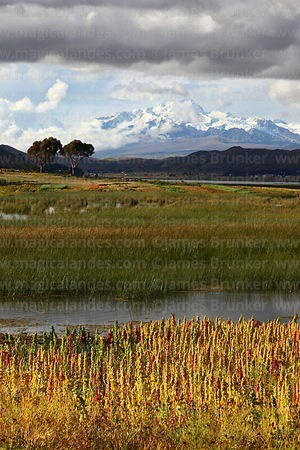 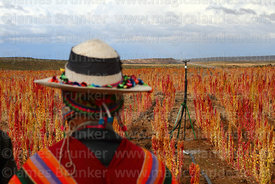 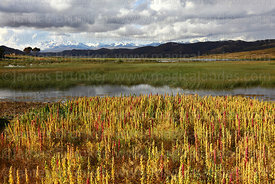 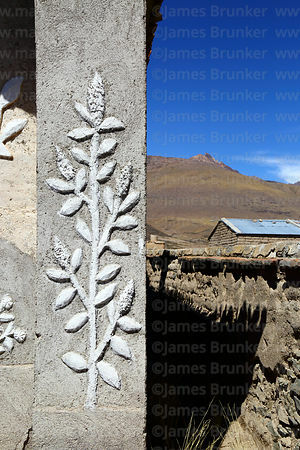 This gallery contains images of all things related to quinoa: fields, plants, products, processing etc.